of a trailer. You will not be bothered with loading or unloadding equipment from a trailer in congested areas. It gets you there fast to repair that leak or break, run a new service or many other excavating jobs. 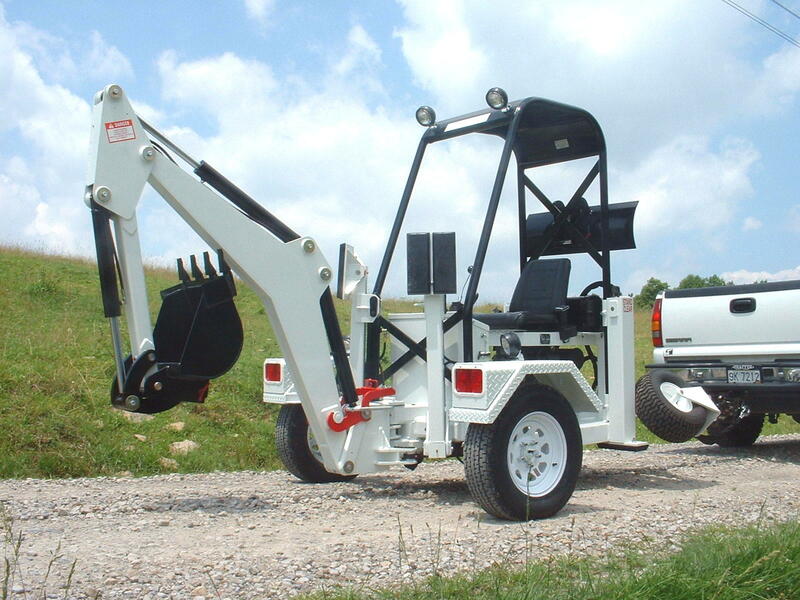 The Go-For is offered by R. H. & M Machine Company " Backhoe Manufacturer"